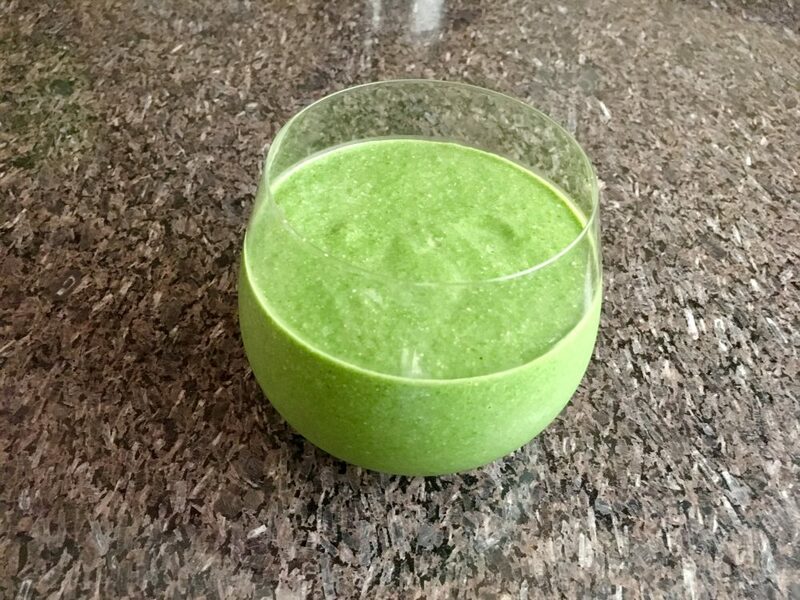 Frozen Spinach Smoothie – in no way tastes like a “slurpee” but it’s cooling. I’ve been using my air conditioning less this summer in an effort to be more Mustachian. But, oh, it’s effin’ warm. Blend it up and cool yourself off. 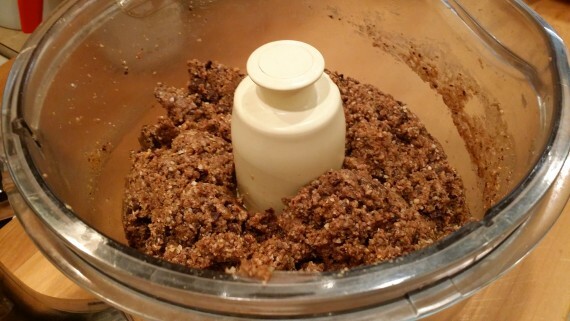 One of my favorite cookies from childhood is a no-bake cookie. Over the years I’ve tried to make a Kristen-approved version that I can enjoy without a second thought, but honestly… I always fail. 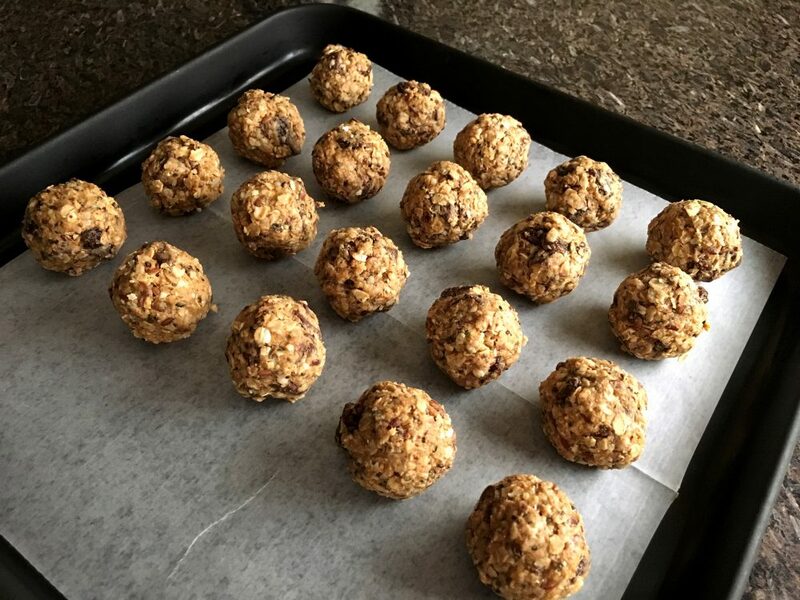 Sure my cookies meet my high health standards, but do they remotely resemble no-bake cookies? Nope. I don’t even try anymore. They really need peanut butter to make that ol’ no-bake cookie flavor, but I can’t bring myself to buy peanut butter. That said, my Chocolate Coconut Cookies are so good(!) and they don’t need to be baked. They have vitamin E rich sunflower seeds, they’re full of texture and flavor, and they have ample protein and fat. They’re pretty much paleo if you don’t mind a bit of butter (you could substitute some delicious grass-fed ghee if you wanted, or coconut oil). The Secret to Not Eating Too Many Cookies. 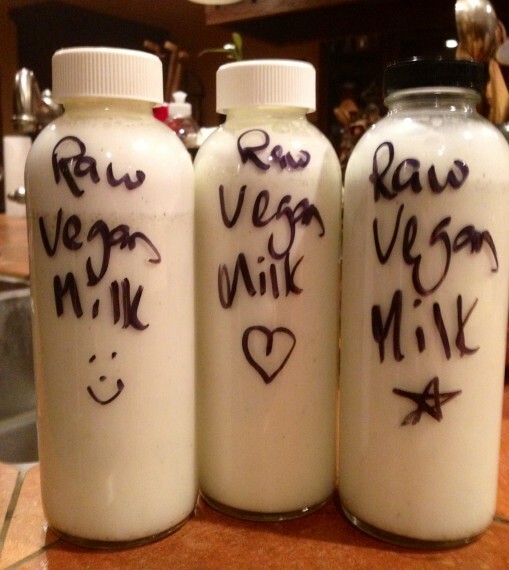 Pili Hemp Nut Milk – I love you. Creamy! 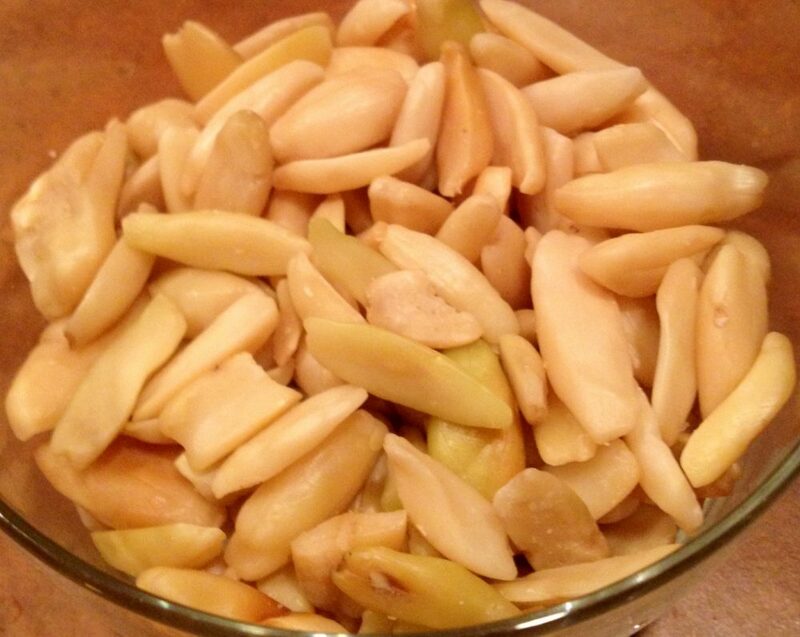 The pili nuts… They damn near melt in your mouth when you eat them on their own. Heck, blend them and wowza. Easy! This is because no soaking (or straining) required! 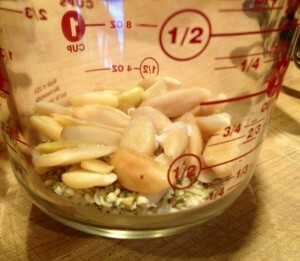 Hemp seeds and pili nuts are naturally soft and blend easily. What a time saver. And when it comes to hemp seeds, stock up. I operate under the philosophy of “go big or go home” and I buy in bulk. They are versatile and soooo healthy. Delightful Flavor! 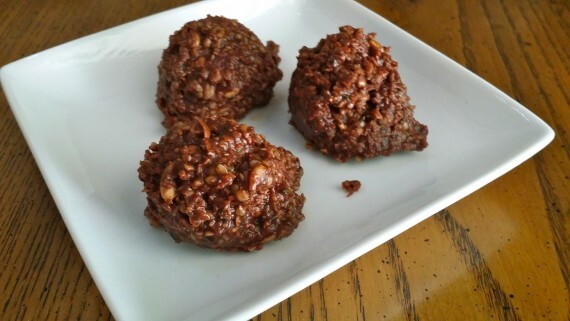 Pili nuts have a fairly neutral flavor which is great for plant strong milks, raw vegan cheeses, dips, and even raw vegan cheesecakes! (They are amazing in cheesecakes for both flavor and texture because they firm up when cold – I digress though. 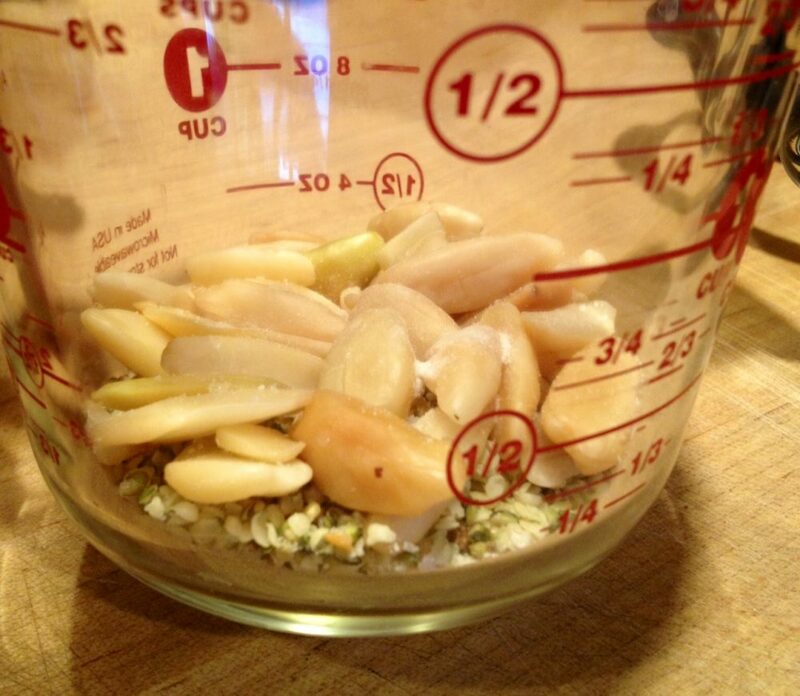 This is a nut milk post after all.) Hemp seeds, on the other hand, can be a little strong in flavor, but they’re huge on nutrition (essential fatty acids and a complete protein), so I try to continuously have them in my life. By blending the softly flavored pili nuts with the extra nutritious hemp seeds, you get a mild raw vegan nut milk that is perfect for use in any situation needing milk. 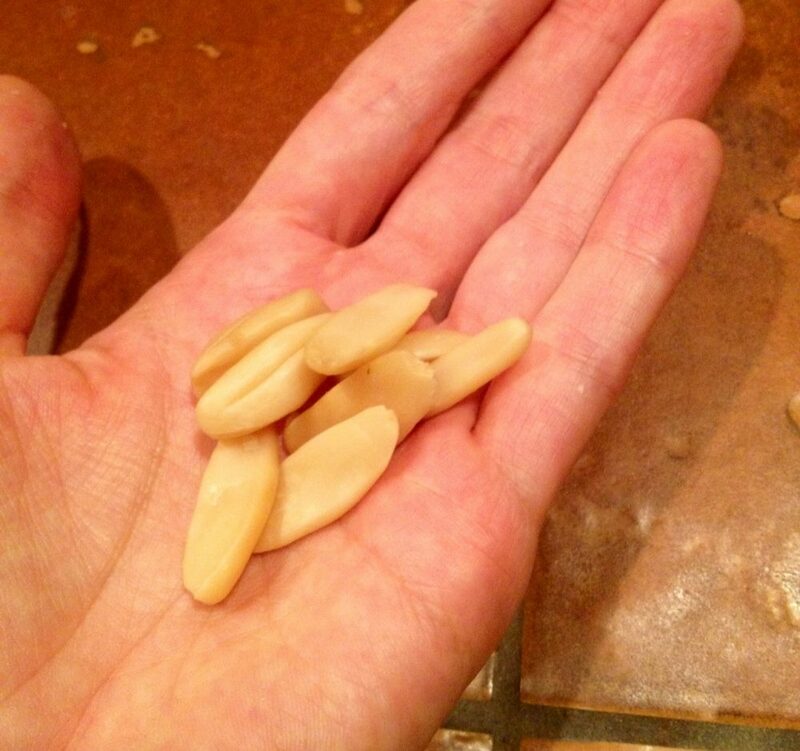 I will say, though, that pili nuts rightly boast some excellent nutrition. They’re extremely high in their oil content (great as a beautifying food, as well as high amounts vitamin E and magnesium). Pili Nuts. Not usually inexpensive, so I stock up when they’re on sale. Blend everything until smooth and creamy. 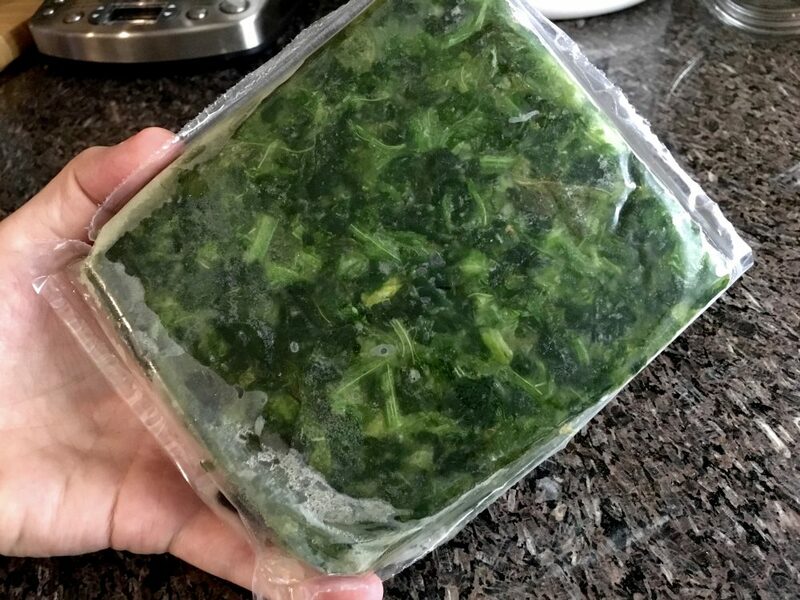 Enjoy served by itself, in a smoothie, protein shake, raw soup, or on top of your cereal. 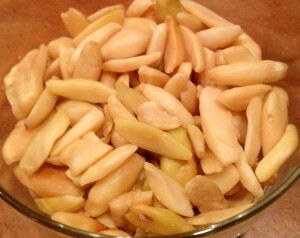 Bowl of pili nuts, like a bowl of gold. I love hemp foods. Hemp’s amino acid profile dominates with the 8 essential amino acids (10 if you’re elderly or a baby), making it a vegetarian source of “complete” protein! Manitoba Harvest is my favorite source for hemp foods. 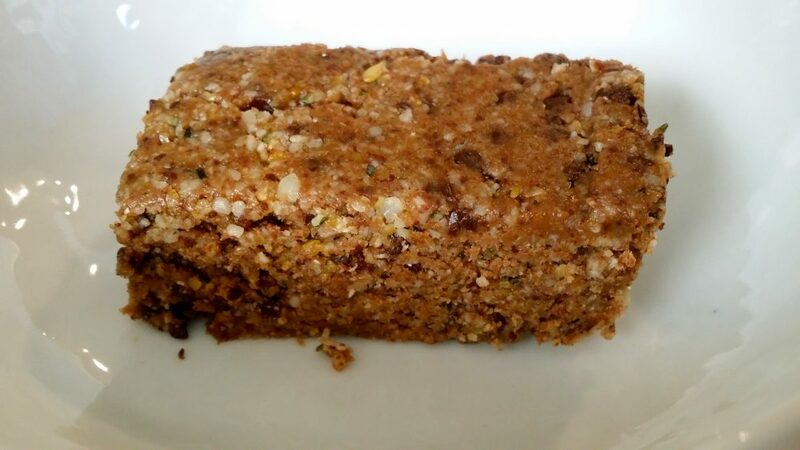 I use their hemp seeds, butter, protein powder and oil to make delicious raw vegan recipes all the time… including this one. Here’s an easy, delicious and nutritious spread for you and your family (especially kids!). I love serving it with sliced apples. Yum! Stir all of the ingredients together in a bowl.